It was 7am and I was staring down a midweek hangover when, like many people do at that time, I checked Facebook on my iPhone. There, posted by a failed electronic musician I used to hang out with before he moved to Berlin in the early 2000s, was Matt Barrie’s incendiary internet rant complaining about the Sydney lockout laws. Why, I wondered, does this haggard old ecstasy enthusiast on the other side of the world give a s@#*%? Doesn’t he have an underground bodypaint performance to attend? “This is what I’ve been saying for ages,” wrote my friend, by way of introducing Barrie’s 8,300-word LinkedIn screed. He’s the kind of Facebook person who posts articles from unheard-of current affairs blogs praising Vladimir Putin’s tough stand against “imperialist Obama”, explaining the government’s secret agenda to control the media, and calling for the immediate overthrow of the International Monetary Fund. This insufferable acquaintance, who is 42 and has never had a job, also enjoys opportunities to voice his contempt for the country he turned his back on a decade and a half ago. “Ha ha in Sydney this isn’t even seen as a joke,” he once noted, atop a link to the Bondi Hipsters’ breakout YouTube hit “The Life Organic”. So it was entirely within the character of this one-time associate of mine, who began balding in the late 1990s and whose Facebook profile is him wearing a beanie in summer next to a remnant of the Berlin Wall, to post the Barrie piece. Why I clicked on it is another question. Procrastinating getting up? After about 600 words, by which time the author had successfully made his point several times, I stopped reading. For fun, I considered commenting, “I still think this could have been longer”, but I refrained due to my aversion to conversing on Facebook with people I don’t like. I didn’t think about the article again. Not for a few hours, anyway. By mid-morning, the Barrie piece had achieved top billing on News.com.au and the websites of The Daily Telegraph, The Sydney Morning Herald, The Australian and, this is not an exaggeration, The Australian Financial Review. A week on, AFR has published no fewer than ten articles about the essay. The premier, Mike Baird, who was installed two months after the lockout laws went live, went on Facebook defending the policy: numbers of people may be down, he argued, but so is violent crime, etc, etc. But the post quickly became bombarded with furious comments, many of which contained the word “draconian”. Breathing new life into the story, the Herald reported that an ABC producer named Tyson Koh had started a protest movement called “Keep Sydney Open”. Most annoying for me, it has taken over my Facebook feed entirely, as if that website can detect my refusal to agree with Barrie’s argument and has determined to keep waving it in front of my face until I do. The fact is that in the years before the lockout laws took effect, Kings Cross was a horrifying, hateful, physically threatening pit of hell. Most Sydney grown-ups have happy memories of drug and alcohol-fuelled nights out at the Cross but, in reality, by the time the lockout laws came in, the days when the Cross could possibly accommodate those memories were long gone. For those of us old enough to remember, Kings Cross was not much to get excited about 15 years ago. It was always home to a handful of lovable all-night dive bars where you could finish up the evening, but throughout the nineties the real foot traffic was two suburbs away on Oxford St. In the early 2000s, the volume of human f*&@#^ on Oxford St was becoming stifling, and exciting new non-s@#*% venues started appearing at the Cross. Hugos Bar (no apostrophe) began serving $20 cocktails, which at that time didn’t seem like a ridiculous form of humiliation. Jimmy Lik’s offered posh Thai food, along with $20 cocktails. The young and fashionable, who weren’t referred to as hipsters yet, began migrating across. There was a sense of excitement about this new scene, notwithstanding that it was very similar to the previous scene but in a slightly different location. And then? The f*&@#^followed. Heaps of it. It was all the f*&@#^ of Oxford St, which stretches on for kilometres, squashed into a 200-metre stretch of road. Added to that was a fresh battalion of f*&@#^, lured by the excitement of the new. In these years, I lived in a neighbouring suburb and had to walk through this daily. From Thursday to Saturday, after about 9pm, it became a sea of sweating, screaming, punching, kicking, bodies. Thousands and thousands of them. Groups of 10, 15, 20 young men would roam, wasted, searching for violence. Groups of young women would look on, also wasted, barely dressed, lost. There was vomit everywhere. Police officers, wise to the prospect that they were targets, would arm themselves in riot gear and walk through the throng, six apiece, reassuring us all with their presence. Have you ever seen the main drag of the Gold Coast in Schoolies Week? 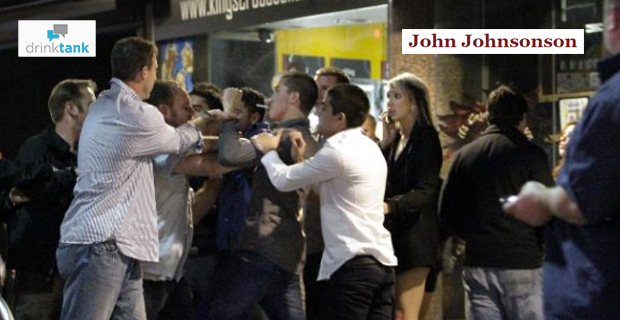 I can tell you that Kings Cross circa 2013 was just like it but more drunk and more violent, all year round. As a resident trying to get home, your only option was to pause on the edge of the melee and deep-breathe yourself into a calm, out-of-body haze before stepping quickly through it with your head down. Kings Cross has a wonderful seedy history, but “vibrant nightlife” and “foot traffic” were nowhere near the place for years before the lockout laws came along. It’s sad that Jimmy Lik’s and Hugos are dead, but the truth is they were long dead already. f*&@#^ killed them, not the government. At a glance, it might seem like Matt Barrie, a successful entrepreneur with a $250 million business, has nothing in common with my drug-addled, unbearable old party friend in Berlin. Except for one thing: they’re both guys in their 40s pining for a place that exists only in their memories. This post first appeared on John Johnsonson’s blog. Why don’t you move if you hate the place so much? While Mr Barrie’s article seems well-considered, well-researched and very much on topic, yours seems embittered, self-absorbed and just plain nasty,.. So, your old mate is “balding,” and ‘jobless’. Hmmmm…that certainly disqulifies him from having an opinion which happens to run counter to yours? [This comment was removed by a moderator because it didn’t abide by our community standards and Drink Tank house rules] Glad you moved on. Pity the area had to die as well. Yep what an awfully rude and immature piece. What sort of organisation would publish this? I arrived here from a drinktank piece on the so-called war between FARE and Lion on health warnings vs nutritional labelling… and after reading this [This comment was removed by a moderator because it didn’t abide by our community standards and Drink Tank house rules] I won’t be dropping by again. This was a snarky and snide article. Are we at the point in the debate where we are insulting people now? This should be deleted from this site. 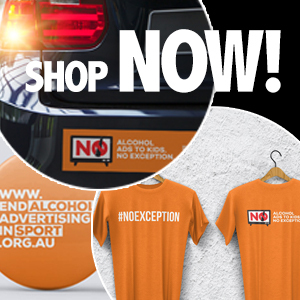 It reflects very poorly on the public health professionals that are actually trying to reduce alcohol related harms. Matt Barrie had thrown plenty of personal vindictive bile at anyone who disagrees with him. In short, he’s a rich obnoxious bully. It’s good to see someone serving it up to him.